Tijuana musician and composer Andrés Martín. 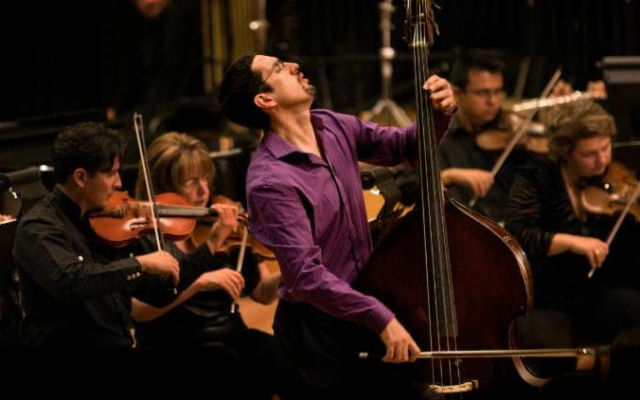 Art of Élan‘s season of innovative classic music concludes with world premiere work by Tijuana composer Andrés Martín that will be performed on both sides of the border next week. “Bruja” will premiere on Tuesday, May 15, in the rotunda of the San Diego Museum of Art along with works by Sarah Kirkland Snider, Ted Hearne, and other composers affiliated with the New York’s New Amsterdam Records. Martín’s new piece, which was commissioned by Art of Élan, will be performed again in Tijuana on Thursday, May 17, at the Playas Cultural Center. Both concerts will feature Art of Élan’s ensemble-in-residence, the NOW Ensemble, a group of performers and composers dedicated to making new chamber music for the 21st century. Their instruments include the flute, clarinet, electric guitar, double bass and piano to bring a fresh sound to the classical tradition. At the San Diego concert, the SACRA/PROFANA choir will sing “Psalm of the Soil” by Snider. The piece is described as “rooted in folk music but full of complex harmonies” that evoke the immigrant experience. The concert will also include “The Answer to the Question that Wings Ask” by Los Angeles-based Hearne and “Tooth and Nail” by New York composer Missy Mazzoli for solo viola and pre-recorded audio. The San Diego concert is at 7 p.m. General admission tickets are $50 and available online. The Tijuana concert is also at 7 p.m. and tickets will be sold at the door.